"Captain Rex, we've got a battalion of battle-droids inbound. What are your orders?" Now your kid has the chance to live his dream and become a soldier in the clone army. But not just any soldier, Rex! Yes, Rex (CT-7567 if you want to get technical), captain of the Republic's 501st Legion. We know what you're thinking, "a clone soldier? Come on! Why on earth would my kid want that. Back in my day we were into Obi-wan Kenobi and Darth Vader. You know, the force! Study, become a Jedi, build a lightsaber and all that. What's this newfangled Star Wars stuff?" Times are a-changin', friend. Besides, "hokey religion and ancient weapons are no match for a good blaster". Know who said that? Han Solo. Yup, the same Han Solo you thought was so cool? He'd kill for this costume. Being part of the clone army, especially Captain Rex, isn't just another job. It's a duty to uphold the justice of the Republic (err, until Senator Palpatine turns on you, but let's focus on the first part). Besides, just look at that helmet! Imagine getting to wear that as you run into war, blasters blazing, ready to take down a battle-droid or a Wampa or even a Star Destroyer (maybe not a Star Destroyer but you never know! Let a kid dream). 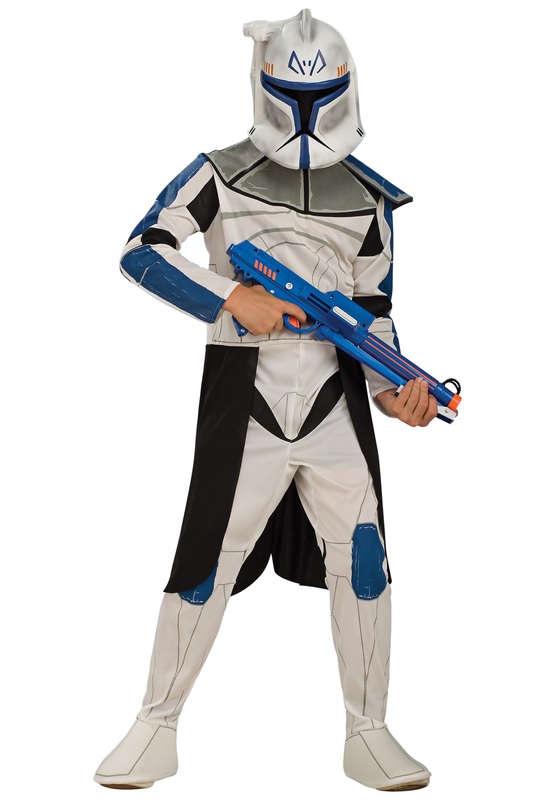 Your kid and his friends can now join up and form a unit, to bond over their combat experiences and make sure that no battle-droids ever invade our planet, or if they do they'll meet hot blaster fire!